The Professors at CBS LAW are publishing both papers and books. This section of the website is dedicated to introduce books which have been published by our Professors over the years. 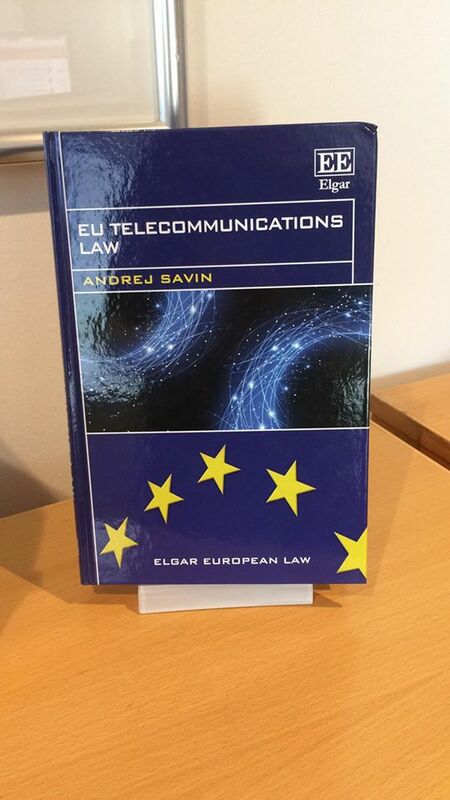 EU Telecommunications law, published by Edward Elgar Publishing. By Andrej Savin (CBS LAW). The book: EU Telecommunications law provides comprehensive overview of the current European regulatory framework. Key chapters focus on the selection of appropriate regulatory models that serve to encourage effective investment in next-generation networks and ensure their successful deployment. Danish commercial law – a textbook. 13. 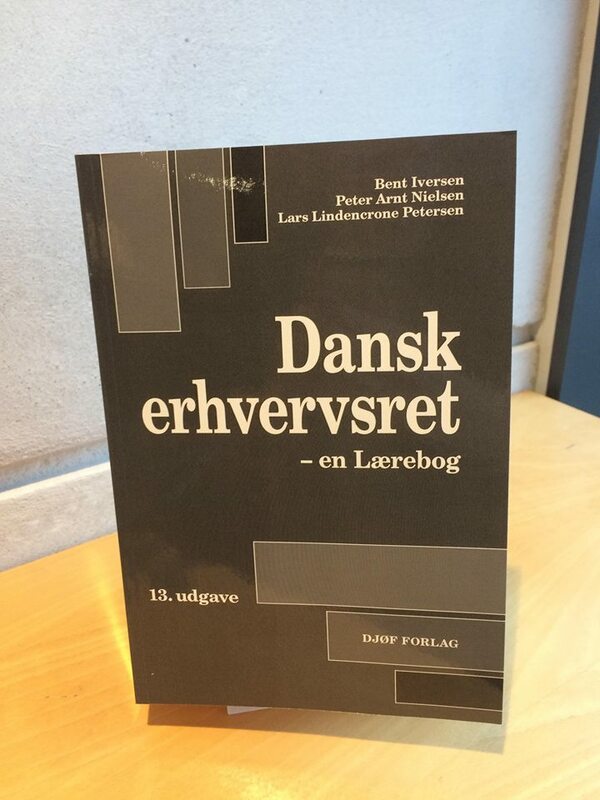 Edition, published by Djøf Forlag, written by: Peter Arnt Nielsen (CBS LAW), Bent Iversen and Lars Lindencrone Petersen. 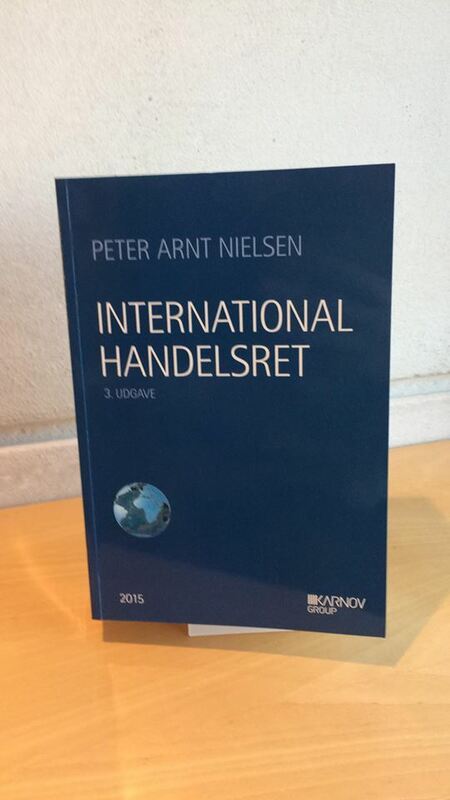 The book is aimed at the basic education in Danish and international commercial law. In addition, new laws and regulations which have entered into force no later than 1 July 2018 have been taken into account as far as possible. 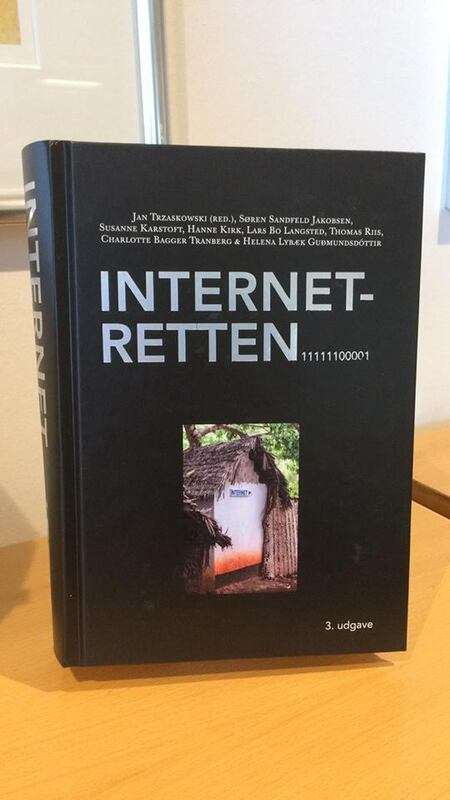 Internet retten (Internet Law), 3rd edition. Published by extuto. Internet Law is an overall presentation of the most important legal areas which are relevant to activities on the internet, including electronic commerce. The book might be used as a book of reference due to its register, cross-reference and footnotes. Additionally, the book addresses both lawyers and practitioners who are interested in a general and fundamental introduction to the internet law. 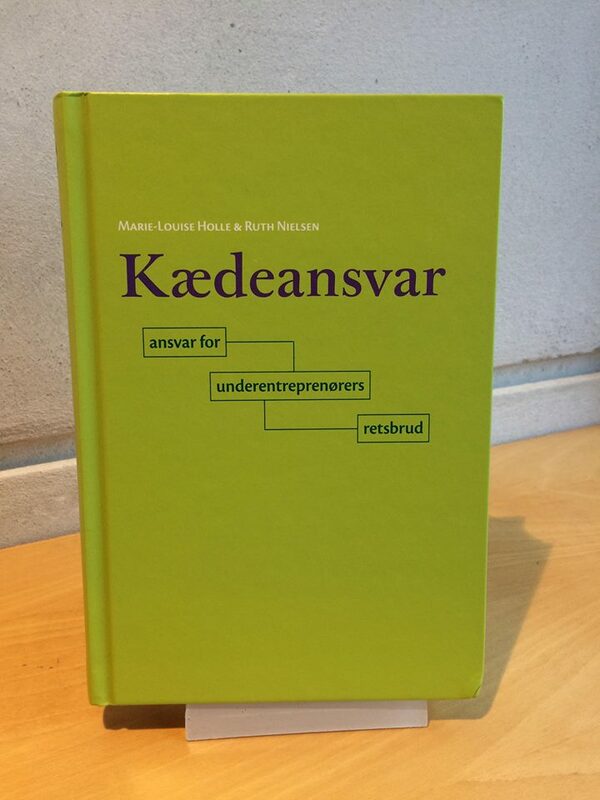 The book is a result of collaboration between the legal environments at Copenhagen Business School, the University of Copnehagen, the University of Aarhus and the University of Aalborg. Professor Jan Trzaskowski from CBS LAW has among others been part of writing the book. Business law issues 1917-2017. Published by: Jurist og Økonomiforbundets forlag. Written by: Vishv Priya Kohli and Peter Arnt Nielsen. The book presents the legal Institute (known as CBS LAW) and provides examples of articles in the areas that CBS LAW and its researchers operate in. CBS was able to celebrate its 100th anniversary in 2017 and for that reason, the Legal Institute's anthology is dedicated to business law development over the past 100 years in the areas that the researchers at the institute deal with. 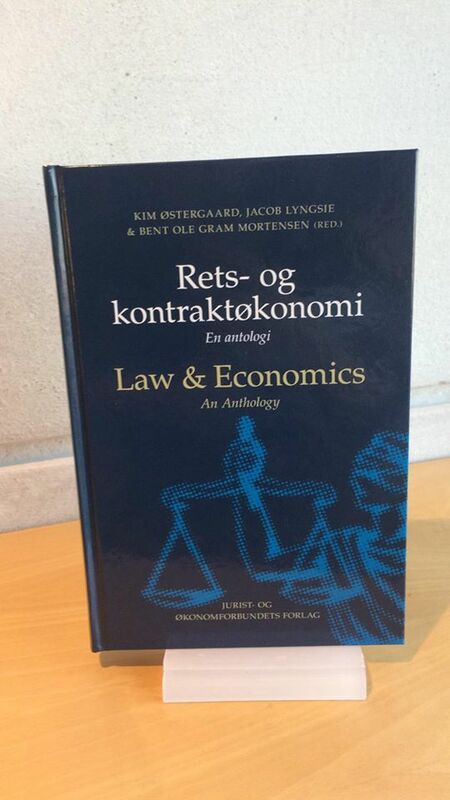 Lærebog om indkomstskat (textbook on income tax) 17th edition. Published by Jurist- og Økonomiforbundets Forlag. By: Jane Bolander (CBS LAW), Aage Michelsen, Steen Askholt, Liselotte Madsen, Anders Nørgaard Laursen and Inge Langhave Jeppesen. The book introduces everything from income concepts to different types of taxation, including: family taxation and company taxation. 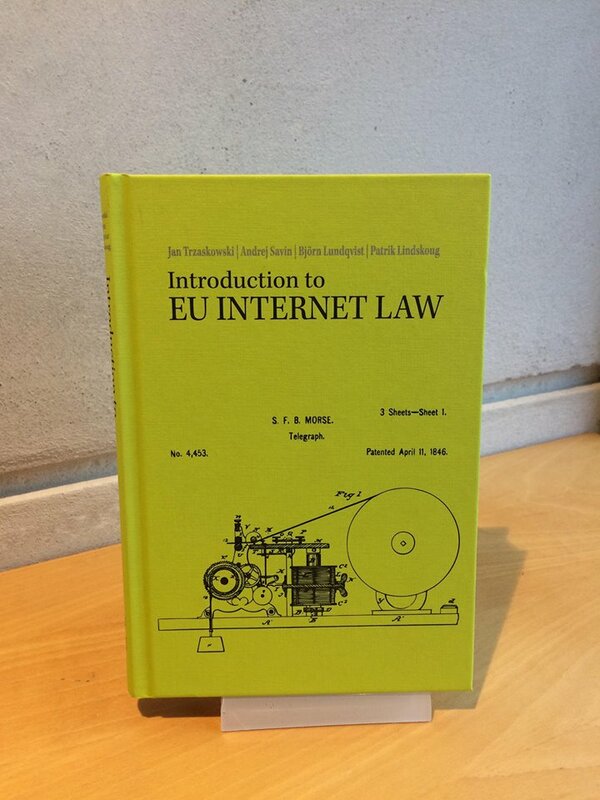 EU Internet Law, 2nd edition. Published by Edward Elgar Publishing. By: Andrej Savin (CBS LAW). 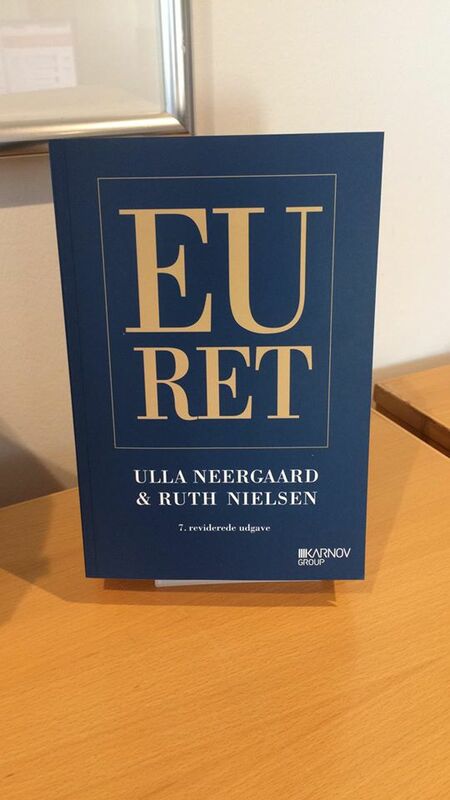 The book covers the latest developments in the case law of the Court of Justice of the European Union. It further discusses pending proposals in telecommunications, copyright and privacy laws as well as the new regulatory directions signaled by the Commission's 2015 strategy document. The book will be of interest to academics, students, and practitioners across the EU and beyond. Chain liability. Published by: extuto, written by: Marie-Louise Holle and Ruth Nielsen (CBS LAW). The book provides the necessary knowledge of chain liability that applies when a subcontractor underpays its employees. It is relevant to all main contractors, subcontractors and builders. The question posed is who is liable for default of payment, in a situation where a subcontractor pays his employees incorrectly. EU ret (EU Law) 7th edition, published by Karnov Group. By: Ruth Nielsen (CBS LAW) and Ulla Neergaard. The book consists of two parts. The first part deals with institutions, regulations and rights. Second part deals with the single market. Law and Economics. Published by: Jurist- og Økonomiforbundets forlag. Law and contract economics has become an interdisciplinary research field. Focus is usually on an economic approach, however, there is an increasing tendency to apply legal methodology. Therefore, the book shows how economic theory can help to qualify and improve legal research and vice versa, through which better legal and economic solutions can be achieved at both the inter partes and social level. Danish Labor Law. 3rd edition. Published by Jurist- og Økonomiforbundets forlag, skrevet af: Ruth Nielsen (CBS LAW). 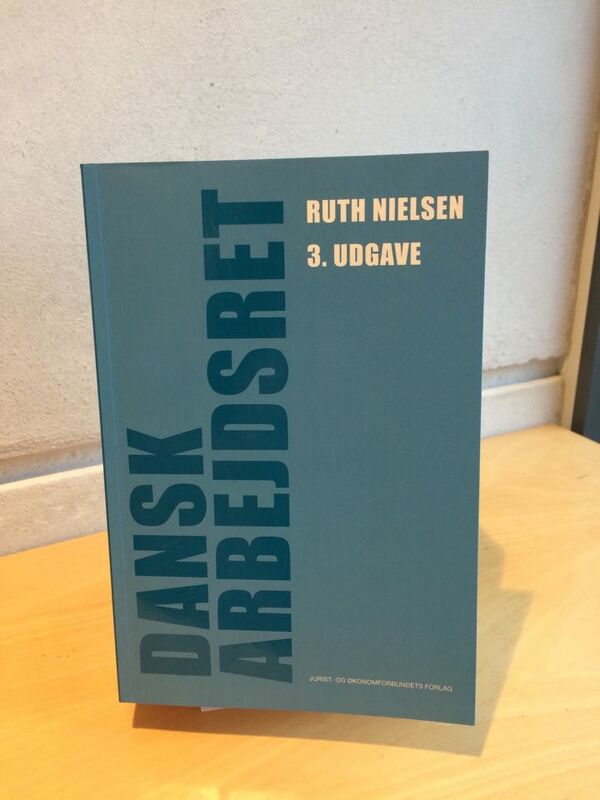 The book provides a systematic representation of Danish labor law in the light of the legal development in EU law, international law and ECHR (the European Convention on human rights). 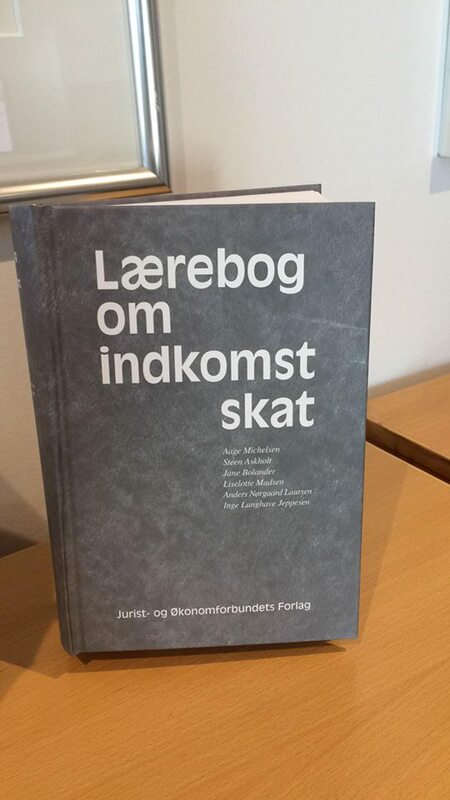 The last edition of the book (2nd edition) was released in 2012, thus this new revised edition provides an updated representation of current Danish labor law based on the integrated application of Danish, EU and international law sources. The book is intended for both practitioners, researchers and students who need a basic insight into the labor law system. 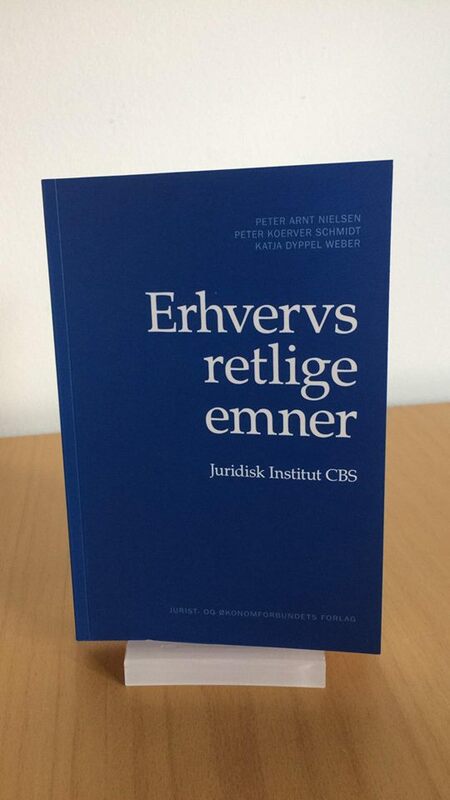 Erhvervsretlige emner, published by Jurist og Økonomiforbundets forlag. By: Peter Arnt Nielsen, Peter Koerver Schmidt and Katja Dyppel Weber. The book presents the department of law (recently named CBS LAW) and gives examples of articles and working papers within those areas the department and its researchers are occupied with. Additionally, the research of the department focuses on commercial law from a social and business perspective. International Commercial Law, 3 edition. 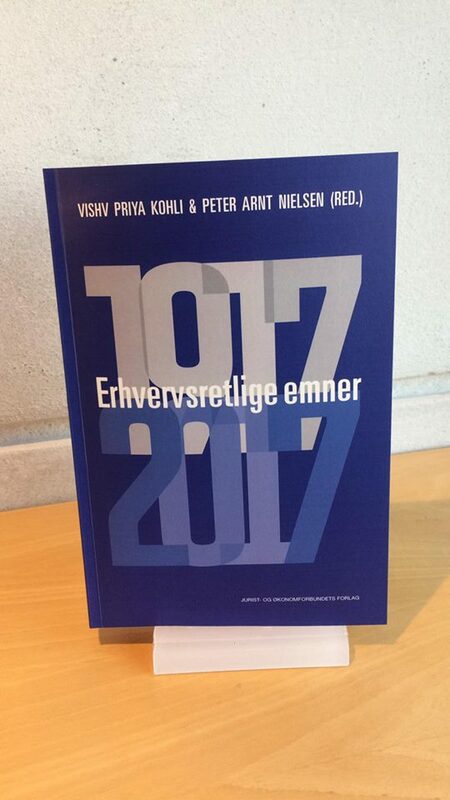 Published by: Karnov group, written by: Peter Arnt Nielsen. The book is written as a textbook for teaching in international commercial law, including arbitration and international private and procedural law at business colleges and universities. The book deals with the following topics: ordinary part, international contract law, international jurisdiction of the court, recognition and enforcement of sentences and arbitration. Introduction to EU internet law. Published by: extuto, skrevet af: Jan Trzaskowski, Andrej Savin, Björn Lundqvist and Patrik Lindskoug (CBS LAW). 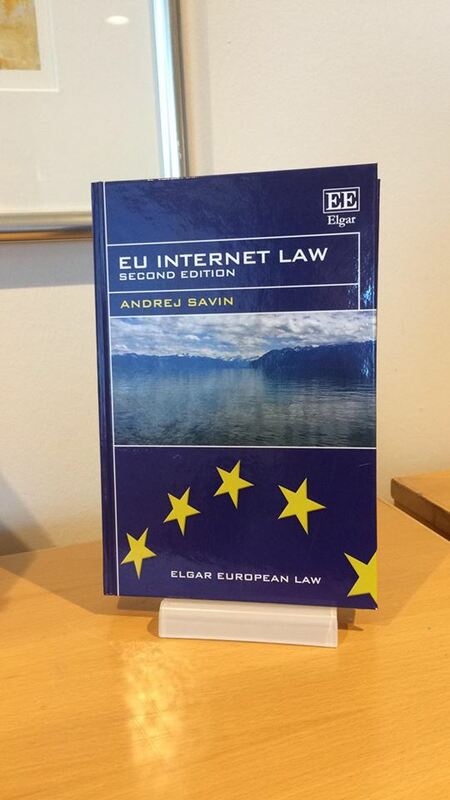 The book provides a thorough introduction to the parts of European Union law that are particular relevant to the Internet, including electronic commerce. The book is suitable as a general introduction and guides the reader through various areas of law in a way that makes the content accessible for readers who do not have a legal background. Further, the book may serve as a tool for lawyers and legal academics who wish to familiarize themselves with internet law or update their knowledge.